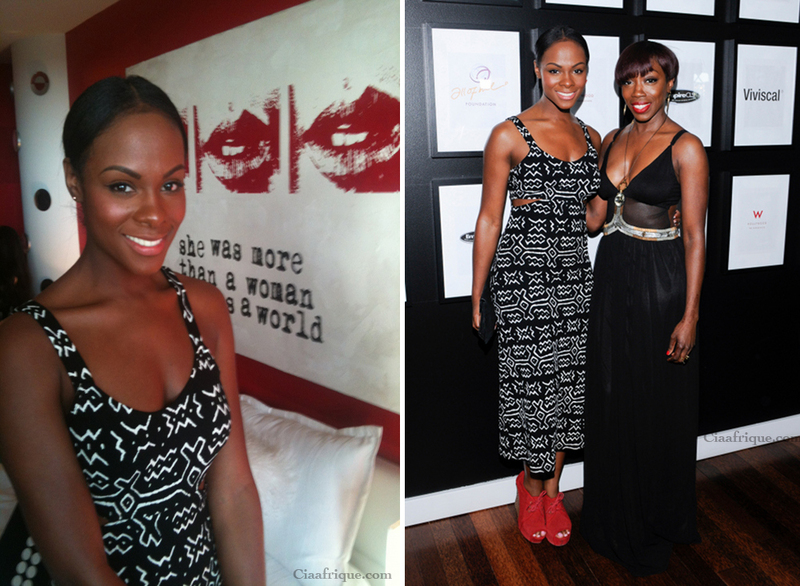 Tika Sumpter was spotted wearing this cute mud cloth inspired dress at the the W Hotel in L.A.with celeb friend Estelle. I can't see the back of the dress but I which the dress was just a little longer maybe or shorter. Nonetheless love it when when i see anything african inspired in Hollywood. I will find try to find the name of the designer.